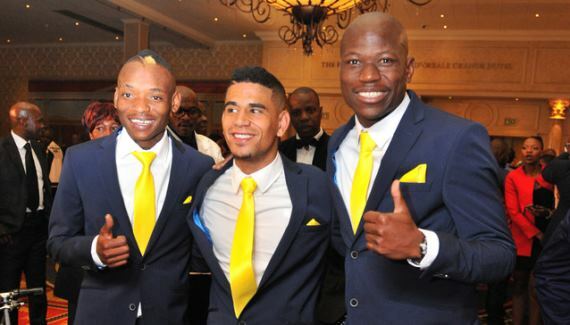 Mamelodi Sundowns stars cleaning up awards at the annual PSL awards ceremony. The curtain officially came down on the 2015/16 Premier Soccer League season on Monday night as the annual PSL Awards ceremony took place at Emperor’s Palace in Johannesburg. Khama Billiat walked away with the night’s most coveted prize, PSL Footballer of the Season Award. The Zimbabwean international also took home the 2015/16 Absa Premiership Player’s Player of the Season and the Absa Premiership Midfielder of the Season. In all three categories, he edged his teammates, Hlompho Kekana and Keagan Dolly. 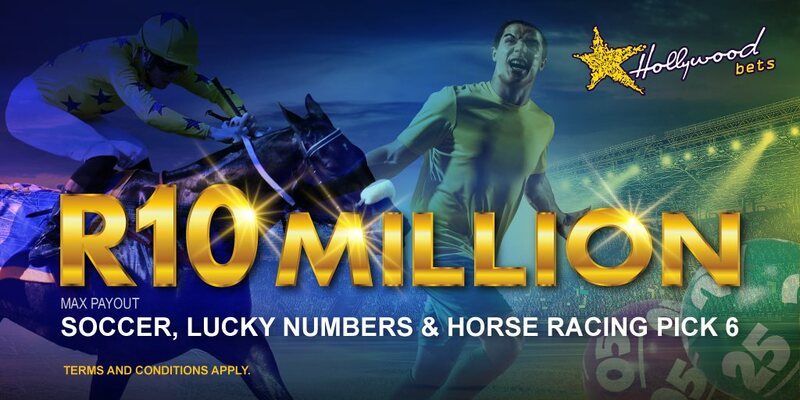 He took total prize money of R450 000 (R250 000 for Footballer of the Season, R150 000 for Absa Premiership Player’s Player of the Season and R50 000 for Absa Premiership Midfielder of the Season). The PSL Footballer of the Season is voted by the coaches in the Premier Division. Absa Premiership Player’s Player of the Season is voted by the players from the 16 Premier Division clubs. Pitso Mosimane, the Mamelodi Sundowns mentor, took the Absa Premiership Coach of the Season while Dennis Onyango and Thabo Nthethe both from Sundowns were voted as Absa Premiership Goalkeeper and Defender of the Season. There was an emotional moment on the night as the mother of the late Ajax Cape Town defender Cecil Lolo walked on stage to accept the award for the late defender who was voted MTN8 Last Man Standing (Player of the Tournament). Thabo Nthethe was voted the Telkom Knockout Player of the Tournament while Jeremy Brockie took Nedbank Cup Player of the Tournament. Baroka FC’s Ndivhuwo Ravhuhali won the Nedbank Cup Most Promising Player of the Tournament. MP Black Ace’s youngstar Aubrey Modiba took the Absa Premiership Young Player of the Season. The Absa-lutely Goal of the Season prize went to Bidvest Wit’s Ben Motshwari for his beautiful goal against Chippa United on 10 January 2016. Chippa United have decided against keeping midfielder Lerato Chabangu. 'All you need is love' joined United in September last year following the relegation of Moroka Swallows in 2014/15. However, Chabangu struggled for game-time in Port Elizabeth, especially when Dan Malesela took over the coaching reins from Roger Sikhakhane. "Chabangu is gone. He is not returning back to the club next season," says a Chilli Boys official. The ex-Bafana Bafana playmaker scored once in four starts and three substitute outings in the league this past season. Chippa recently sold Erick Chipeta to Ajax Cape Town, while fellow defender James Okwuosa is set to join Orlando Pirates. Bloemfontein Celtic midfielder Alfred Ndengane has signed a new three-year contract with the club. The 29-year-old, who made 22 league starts this past season, joined Phunya Sele Sele from FC Cape Town two years ago. "Yes, it's true Alfred Ndengane has renewed his contract with us," Celtic CEO Khumbulani Konco confirmed. "He has extended for a further three years." National First Division side FC Cape Town announced the capture of Cameroon B international Ludovic Ndzie. The 21-year-old burst onto the domestic scene in Cameroon in 2012 with Renaissance and was almost immediately elevated to the country’s junior national teams. He has more recently been playing for UFC du Haut Nkam but is set to try his luck in the South African second-tier. FC Cape Town have grown a reputation in recent years as a springboard to bigger players from both at home and the rest of Africa. They have already announced the sale of Zimbabwean midfielder Marshall Munetsi to a "top Gauteng club", believed to be Orlando Pirates. Current West Ham forward Emmanuel Emenike played for the club, where he was spotted by Turkish side Karabükspor in 2009 to begin a successful career in Europe. Locally, Ajax Cape Town striker Prince Nxumalo, Mamelodi Sundowns utility player Asavela Mbekile and Bloemfontein Celtic midfielder Lyle Lakay are just three of a number of players who have made their name with the ‘African Beasts’. Orlando Pirates have had a R3-million bid rejected for AS Vita midfielder Bernard Morrison. Pirates were tracking the Ghanaian's progress in the CAF Champions League prior to Vita's expulsion from the event. According to a source close to Vita, the Congolese club want at least R7-million for Morrison. "The club paid close to R2-million when they bought him from his team in Ghana," says the source. "There has been contact with Pirates but what the club is offering is far less than what Vita is demanding if they have to release the player. Vita were disqualified from the Champions League for fielding an ineligble player. The transgression saw Mamelodi Sundowns promoted to the group stages of the continental showpiece, where Zamalek, Enyimba and ES Setif await Pitso Mosimane's men. Former Polokwane City coach Kosta Papic is set to take over as head coach of Royal Eagles next season. The Serbian initially joined Eagles as a technical adviser in April, having previously been in charge of NFD rivals Black Leopards. Ex-Orlando Pirates midfielder Eddie Dinha has been earmarked to assist Papic, according to sources close to the KwaZulu-Natal outfit. Eagles recently parted ways with interim coach Bheka Phakathi and his assistants John Tlale and Abraham Nteo following the side's failed bid for topflight status. "Yes, it’s true. I will be in charge of the team next season,” says Papic. "We are still trying to finalise a few things with regards to the rest of the technical team." The South African Football Association (SAFA) has joined millions of South Africans in mourning the passing on of former Bafana Bafana coach Ted Dumitru. 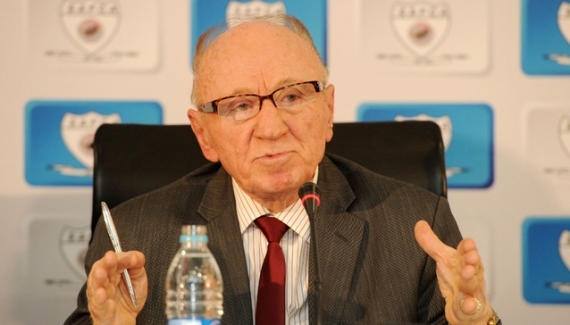 The Romania-born Dumitru passed away last Thursday, 26 May after collapsing at a shopping mall in Johannesburg. The paramedics tried to resuscitate him but to no avail. He was 76. SAFA president Danny Jordaan said Ted Dumitru was a ‘true giant’ of South African football. “This is a very, very sad day in the history of our game. Despite his small frame, Ted was a giant of South African football and his incisive assessment to football matters earned him respect among football fans. “He was articulate about the game, called a spade a spade and worked within every sector of the game from development, club to national team level including technical areas with the Association. At the time of his untimely death, he was an active member of the SAFA Technical Committee. May his soul rest in peace,” said Jordaan. Ted Dumitru had a close working relationship with former Mamelodi Sundowns owner Anastasia Tsichlas when he coached the Pretoria side in the late 90's. The two joined forces again when Ted was called to serve on the SAFA Technical Committee where Tsichlas is the current chairperson. Tsichlas says she was gutted by Ted’s untimely passing on describing the death as a great loss to South African football. “This is a massive loss to the entire nation. He was very passionate about the game and never one to hold back his opinions. Ted left a legacy behind - the South African philosophy document. He won a lot of trophies in a glittering career as a coach,” said Tsichlas. “Ted took Sundowns to the final of the CAF Champions League, he served in the SAFA Technical Committee and I was looking forward to meeting up with him next week for our regular committee meetings, unfortunately it won’t happen. “He had so many wise things to say about the game. Ted was indeed the professor of football – a title he earned for his immense knowledge of the game of football. May God grant him eternal rest, and I know I am not speaking for myself only when I say we are all going to miss him and his ideas. May his family and football family be comforted during these difficult times.” Dumitru started his coaching career back in his native Romania in 1964 with a club called Universitatea Craiova. Locally he has coached all the big guns of South African Football – Kaizer Chiefs, Mamelodi Sundowns and Orlando Pirates. In the process he won many trophies – the league title, MTN 8, Nedbank Cup, Telkom Charity Cup, Rothmans Cup and the Telkom Knockout. He has also been at helm of several national teams – South Africa, Swaziland, Namibia and Zambia. Bloemfontein Celtic have confirmed the departure of Keamogetse Wolff, Wade Jooste and Alushavhiwe Marubini. Striker Helder Pelembe will also return to Orlando Pirates following the expiration of his loan spell, while Julius Likontsane and Thabang Matuka will be farmed out ahead of the new season. Phunya Sele Sele CEO Khumbulani Konco says there are plans to bolster their roster. "We are absolutely delighted by the prospect of signing phenomenal players that will come and definitely add value in the team," Konco told the club's website. "Together with the technical team, we have identified and subsequently made proper enquiries about players we are hoping to sign. Trust me when I say they are brilliant individuals who will help us reach our goals next season. "However, we must be appreciative enough to thank those leaving the club for having played a pivotal role in trying to help us achieve as a team. They are good players but we unfortunately have to allow them seek greener pastures elsewhere." Banyana Banyana will face the United States women’s national team – for the first time ever - in an international friendly match as part of preparations for the Rio 2016 Olympic Games. Banyana Banyana and the Stars and Stripes will meet on Saturday, 9 July 2016 at Soldier Field in Chicago, Illinois. Kick-off is at 12h00 local time (19h00 SA time – USA is seven hours behind SA). The USA is ranked number one in women’s football and they are also the current world champions. Head coach Vera Pauw says her team could not have asked for a stronger opposition to prepare for the Olympics. The match against the USA will be the first meeting between the two countries in women’s football and will also mark just the second African country that has faced the USA in its history. The Americans have played Nigeria four times in World Cup or Olympic competition. USA head coach Jill Ellis said playing Banyana Banyana was a thrilling prospect. The South Africa vs USA encounter comes hot on the heels of another high profile assignment - back-to-back clashes against The Netherlands, taking place on Saturday, 4 June and Tuesday, 7 June in Holland. Golden Arrows coach Clinton Larsen has agreed terms with chairperson Mato Madlala to extend his contract with the club. The former Orlando Pirates right-back signed a short-term deal in December after he swapped jobs with Serame Letsoaka, who is now at Bloemfontein Celtic. The 45-year-old Larsen says he has agreed terms with Arrows after leading the team to a ninth-place finish in the league, narrowly beaten to the top eight by SuperSport United on goal difference. Larsen has been in charge of 22 games in all competitions and has won eight, lost nine and drawn five. Meanwhile, Musa Bilankulu’s future is currently being discussed after he joined the club on a short-term deal in the January transfer window following his surprise released from Celtic. Players who were on loan this season from their respective clubs like Andile Fikizolo, Gladwin Shitolo and Rodney Ramagalela are also being discussed and Larsen has made it known that he would like to keep them for next season. Mahlatse Makudubela and Hellings Mhango are on their way to Orlando Pirates and Bidvest Wits respectively after signing pre-contracts from Platinum Stars and Celtic. Kudakwashe Mahachi, who recently lost his four-year-old daughter and was missing for the last two matches, is still in Zimbabwe and will not return as there is strong interest in Belgium and he still has to sort out some issues with Mamelodi Sundowns. John Arwuah has also left the club after joining in March having made only two appearances after sustaining a groin injury. Maritzburg United have handed coach Ernst Middendorp a new two-year contract following the team's "great escape". The German returned to United for a third stint in late December and managed to save the side from relegation on the final day of the season. 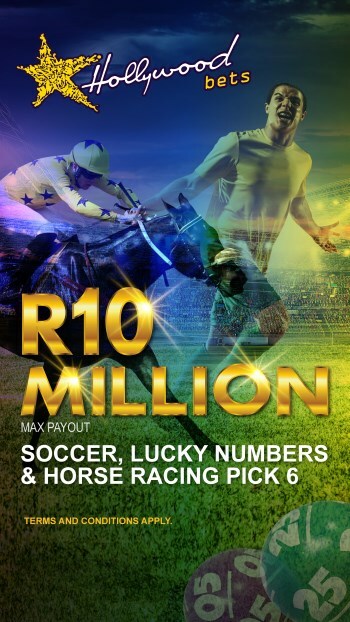 Middendorp has been mandated to secure a top-eight finish next term, and he welcomes the challenge. Middendorp guided the Team of Choice to six victories, six draws and eight losses in all competitions in 2015/16. Meanwhile, striker Evans Rusike was named United's Player of the Season at their annual awards last Wednesday. Bidvest Wits have announced the signing of Platinum Stars striker Eleazar Rodgers and Jomo Cosmos defender Pentjie Zulu. The news broke of Rodgers' imminent arrival at Wits last Monday, and that deal has now been confirmed. The 31-year-old Rodgers scored seven goals for Dikwena this season and will replace New Zealand striker Kris Bright, who has been released. Zulu, 26, was solid at the back for a stubborn Cosmos side and adds depth to the Clever Boys' options. Wits confirmed their signings on pre-contracts via their official Twitter account. Black Leopards have sacked the coaching duo of Joel Masutha and Mongezi Bobe. 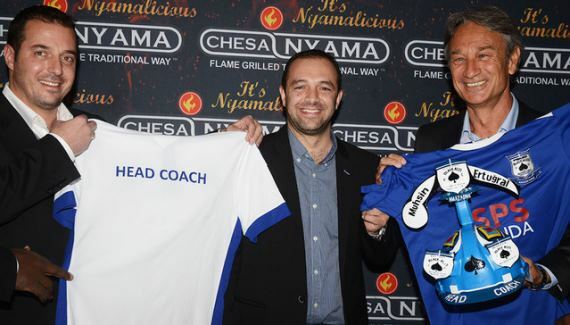 The two were part of the club’s technical department this past season with Masutha working as a goalkeeper coach, an assistant and a caretaker coach along the way. Bobe also served as an assistant. They were shown the door as Leopards prepare for a massive technical team shake-up that will have an expatriate coach coming in who will be assisted by another coach who has previously worked in the Mamelodi Sundowns development. Lidoda Duvha finished off their campaign in eighth place in the First Division with Sello Chokoe as head coach following the resignation of Kosta Papic, who had taken over from David Bright. Chokoe might stay on and work as an assistant to the new head coach to be announced in the next couple of weeks. Word is that a Zimbabwean coach is amongst those that have already been targeted by Leopards.